Five years after the first meeting at the Faculty of Medical Sciences of Córdoba, we – scientists, doctors and members of health teams from sprayed villages of Argentina -gathered in the Aula Magna of the Faculty of Medicine of the University of Buenos Aires (UBA), to verify that what we said then is emphatically true and getting worse by the day. The current system of agricultural production in the country pollutes the environment and our food, sickening and killing human populations in agricultural areas. 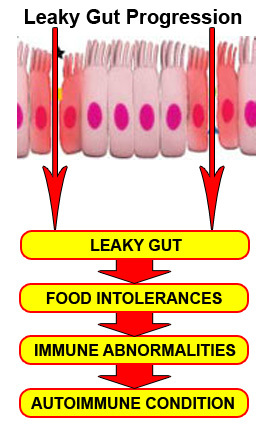 Research presented at the congress show studies at different scales, which highlight a consistent pattern of toxicity. 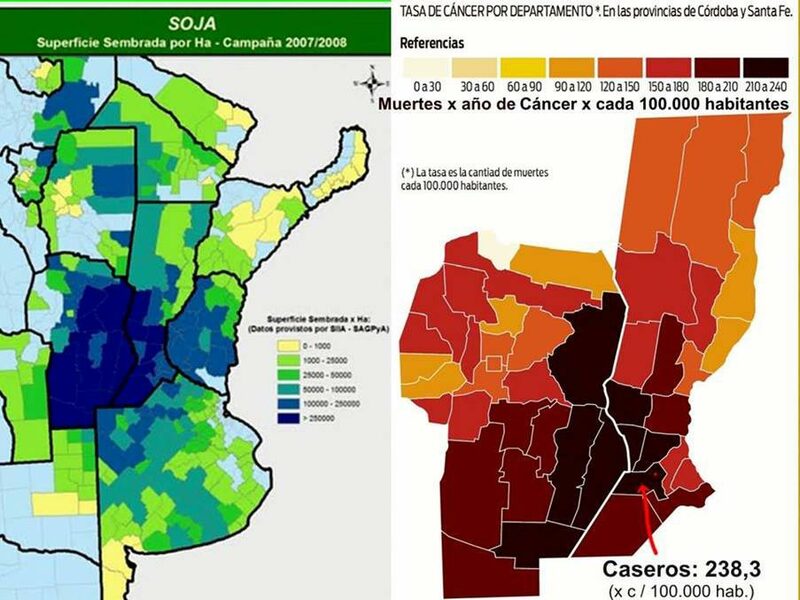 From small towns to larger populations at the provincial level (as in Chaco and Córdoba) or national level, different levels of exposure to glyphosate or agricultural poisons in general are compared, showing that reproductive health is affected by increases in spontaneous abortions and birth defects. Also increased are endocrine disorders such as hypothyroidism, neurological disorders or cognitive development problems and soaring of cancer rates – a tripling of incidence, prevalence and mortality – which are directly related to pesticide exposure. In parallel, data from studies in experimental models show that the genotoxicity of glyphosate and other pesticides is an underlying biological mechanism that explains its relationship with disease that doctors have found in our patients. Furthermore, genotoxicity has been verified in agricultural populations (adults and children) exposed to pesticides, while being absent in populations that are not fumigated. The multinational seed industry is continuing its multipronged attack on the most basic of human rights, the access to seed. Lobbyists of the seed industry are using trade agreements to pressure nations into adopting strict measures such as UPOV agreements that ensure the protection and ownership of new plant varieties for plant breeders. On top of this, corporate seed industry lobbyists are proposing revisions to the UPOV convention that promote further monopolisation of the seed industry through ‘harmonisation’ of procedures for registering and testing new plant varieties. Despite what the manufacturers say, there is ample evidence to show that glyphosate, the active ingredient of Monsanto’s Roundup, Syngenta’s Touchdown, Dow’s Durango and many other herbicides, is highly toxic and a serious hazard to human and animal health. There is documentation of miscarriages, birth defects, carcinogenesis, endocrine disruption, DNA damage, neurotoxicity, and toxicity to liver and kidney at levels well below recommended agricultural use (See, for example, first Chapter of  Ban GMOS Now , ISIS special report,  Glyphosate and Cancer, SiS 62). Several countries, among them Denmark, The Netherlands, France, El Salvador and Sri Lanka have recognised the dangers imposed total or partial bans on the use of glyphosate, though the ban in Sri Lanka was lifted under pressure from the manufacturers (Sri Lanka Partially Bans Glyphosate for Deadly Kidney Disease Epidemic ) . Other countries, especially those with large chemical and biotech industries and/or a major commitment to industrial farming, take a totally different view. The US Environmental Protection Agency (EPA) recently increased the permitted tolerance levels for glyphosate residues in food. The European Food Safe Agency (EFSA) has recommended the re-approval of glyphosate for use in Europe with an increase in acceptable daily intake (ADI) from 0.3 to 0.5 mg per kg body weight. It is not surprising that EFSA reached this decision; the review was in fact carried out by a ‘Glyphosate Task Force’ (GTF) made up of a consortium of chemical companies including Monsanto, and based its conclusions largely on reports submitted by the manufacturers (Scandal of Glyphosate Re-assessment in Europe ). This week, the Environmental Protection Agency (EPA) hit a major milestone that some people, including leaders at the agency itself, think shouldn’t be celebrated. On Wednesday, the agency released a final risk assessment for trichloroethylene (TCE), an industrial solvent used by artists, car mechanics, dry cleaners and others. The EPA’s in-depth report, released after a two-year analysis, shows that long-term exposure to TCE can cause cancer and other health issues, and recommends that workers take serious precautions if they must use TCE. But in its press release, the EPA acknowledged there was something wrong — not with the risk assessment itself — but with its timeline: It was the first final risk assessment for a chemical issued by the EPA since 1986.